“Steel is Cool” was the opening message of Juliette Stacey, Group CEO of Mabey Holdings, who delivered the seventh in the ‘Talks on Enterprise Development’ series at Henley Business School on Monday 20th March 2017. Addressing an audience of SMEs and Masters in Entrepreneurship students, the ‘Talks on Enterprise Development’ series puts the spotlight on leadership and engaging SMEs. The purpose of the talks is to showcase successful SMEs leaders who share their personal experiences of developing high growth businesses, the challenges they faced and how they dealt with them, their achievements, the lessons they had learnt and their thoughts about the future. Juliette was honest and revealing about how a business can start strong with a vision but then lose momentum and have its very survival threatened. She emphasised how focusing on what matters can restore health and growth. Juliette spoke passionately about Mabey’s journey from a family run business to a business run by a board of external professional managers, before going on to talk about how Mabey had withstood a “really bad storm”. Now run by a professional board with no family members though still family-owned, the company has come through the challenges and has a bright future based on digital engineering and robotic manufacturing. Delivering this bright future, as Juliette described it, will require a continuing focus on the four pillars – safety, engineering, people and customers. Juliette talked extensively about the importance of having talented people and a process for hiring, training and supporting them. Juliette said that her company’s policy was to “hire-in the talent before you need them”. Changing the mindset of people has also been a matter of focus, which Juliette summarised succinctly. Instead of responding to new ideas with “Yes… but”, Juliette’s advice was to instead think “Yes… and”. Difficult decisions have marked Mabey’s journey and for Juliette the decisions have been made because of the focus on the four pillars and her mantra which is “let nothing be sacred”, along with the business’ mantra of “more safety, quickly and efficiently”. It was a real pleasure to have Juliette Stacey on campus and to hear the Mabey story and how a focus on the things that matter, can make all the difference. We wish Juliette and Mabey Holdings every success in the future. 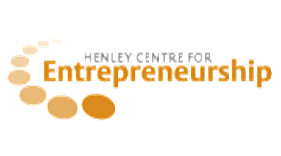 The UoR is committed to work with the SME community in the Thames Valley Region for mutual benefit. The event was kindly sponsored by James Cowper Kreston and the Thames Valley Business Growth Hub.